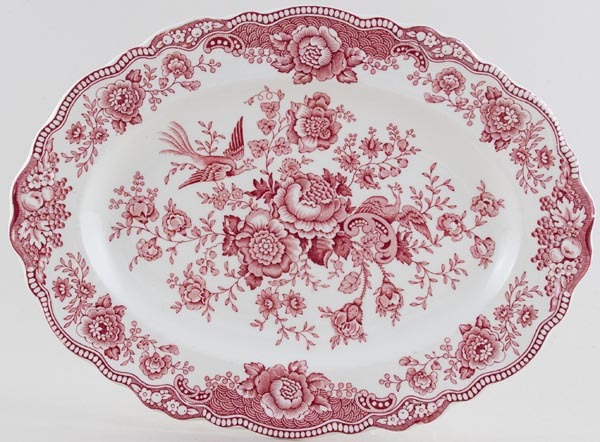 Very pretty platter with embossed decoration to the wavy rim. Crown Ducals version of Asiatic Pheasants. Backstamp: Bristol Crown Ducal Rd No 762055. Some surface scratching and on the back a little minor wear.